Technical Support By Malaysians, For Malaysian Clinics, Since 1997. Over 300 installations in Malaysia.
" 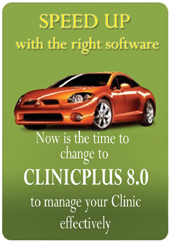 ClinicPlus is by far the most comprehensive Clinic Software & Panel Billing Software in the market to date. I have evaluated and used other applications but none compares to the level of user friendliness & flexibility ClinicPlus has achieved. " Dr. Ahmad Faizan, GP, Kuala Lumpur, Malaysia. It would be our pleasure to demonstrate our capabilities and show you how the unique features of our solution would benefit you. You will immediately see the advantages. 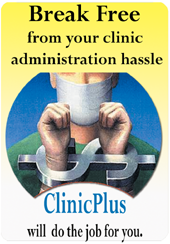 Please call us at 03-7877 2327 or email us at : info@clinicplus.com.my to set an appointment at your convenience. We will make efficient use of your time to show how we can assist you in meeting your specific requirements and the significant savings you can realize by using our custom solution.